When making soups, I believe that fresh ingredients generally yield the best results. But there are many times when we don’t have ready access to fresh herbs or only need a small amount for the job at hand, so we reach for a jar of dried herbs. Fortunately, many dried herbs maintain much of their true flavor and are excellent to use in soups and other dishes. You’ll notice that several popular herbs – and favorites of mine – did not make this list because the dried versions are poor substitutes for their fresh variety. These include basil, cilantro and parsley. We are left with the “go-to” herbs that every soup maker should keep in stock. Here are 6 dried herbs that taste great and belong in the kitchen of every soup maker. 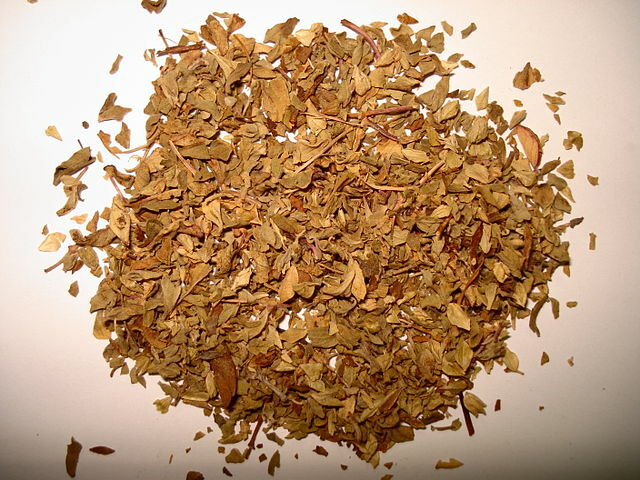 Oregano – there are actually two main types of dried oregano: Turkish and Mexican. Turkish oregano is what flavors many a tomato sauce, often bound for pasta and pizza. It has a very identifiable aroma and subtle sweet flavor that goes well in a variety of soups, from chili to Italian sausage soup. Mexican oregano, on the other hand, has a much earthier flavor and lacks the sweetness of Turkish oregano. The Mexican version is great to keep on hand for everything from taco soup to chicken tortilla soup. Thyme – this could be the most important dried herb to keep in the cupboard. Thyme is an incredibly versatile and flavorful herb that helps make old favorites such as tomato soup or vegetable beef soup taste so amazingly good. Bay Leaf – Bay Leaf could be considered the soup maker’s best friend and secret weapon. Used in countless soup recipes, bay leaf requires no prepping, chopping or mincing – just add a leaf or two into the soup pot and let it work its magic. Dill Weed – This sweet and slightly pungent herb is used frequently in Scandinavian cuisine and is a favorite of mine for topping off fish chowders and potato soups. Savory – if there is a “dark horse” herb for soup making, it is savory. I believe it is greatly underappreciated considering its assertive yet pleasant flavor. It is absolutely outstanding in bean or split pea soup. Give it a try if you haven’t yet. Marjoram – here is another herb with a flavor profile that complements many types of soup. Marjoram has been described as tasting like a cross between basil and oregano (Turkish), so it goes well with everything from carrot soup to chicken-rice soup. Remember, just because these herbs are dried does not mean they last forever. Over time they lose their potency and should be replaced, at least yearly. I have had great success using dried herbs from Simply Organic and Penzeys Spices and can recommend the quality of their products. The herbs from both providers are more expensive than the bargain basement herbs sold in most grocery stores, but the quality is superior. You don’t need to soak dried vegetables before cooking them, but soaking will shorten the cooking time. Reconstitute by soaking I cup of dried vegetables in 2 cups of water for about 2 hours. Add more water if necessary. Vegetables will return to almost their original size and shape. Reconstituted vegetables are tasty additions to stews, casseroles, and soups. The water you use for soaking and cooking contains valuable nutrients, so use it in sauces and gravies.